It should be noted that the very first time the owner drove the car turbocharged was when he took it down the track. I was working on it until it was time to take it to the track so I had to meet him there. He did a great job of pulling a 1.922 60ft time and running the 14.48 ET. The stock exhaust is 1 3/4 inch and is absolutely pathetic for a turbo motor. A 2.5 inch exhaust is twice as large and is far more suitable for a turbo motor. Just from driving it on the street there is a HUGE power increase. It is easily a 13 second car excpet for the stock clutch. Even running only 6psi, it was starting to slip and still running rich. 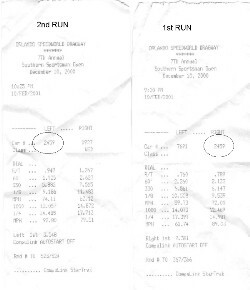 Compare this to Steve's 98 RS with the Minnam Stage II kit (Forcedfed4.com) and 2.5 inch exhaust, he ran 14.4 at 7.5 psi with the stock clutch slipping. So, hopefully you can see the potential. 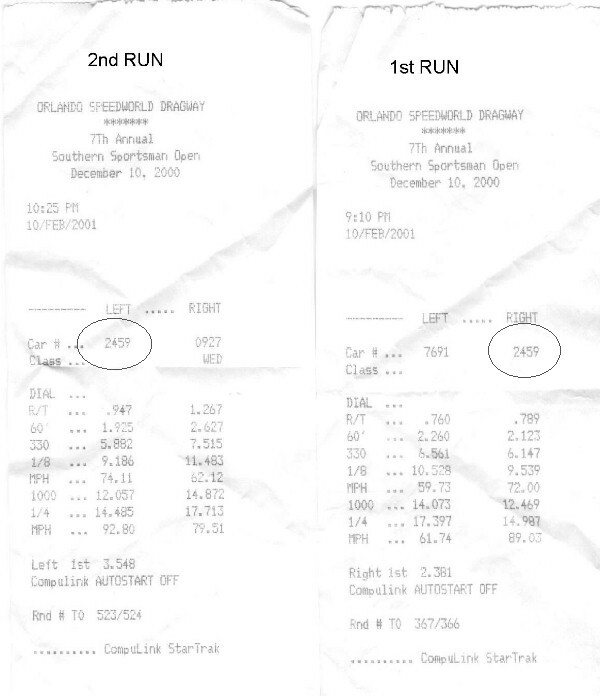 Steve also ran 13.7 @5psi once he got his clutch installed. We are hoping for 13.5 @ 8psi with the ACT clutch. The clutch has been received and will be installed 5/16/01.